Holiday and lots of time to spend in the studio. The bookbinding projects are under progress. I have made a notebook with nubuck-leather cover. 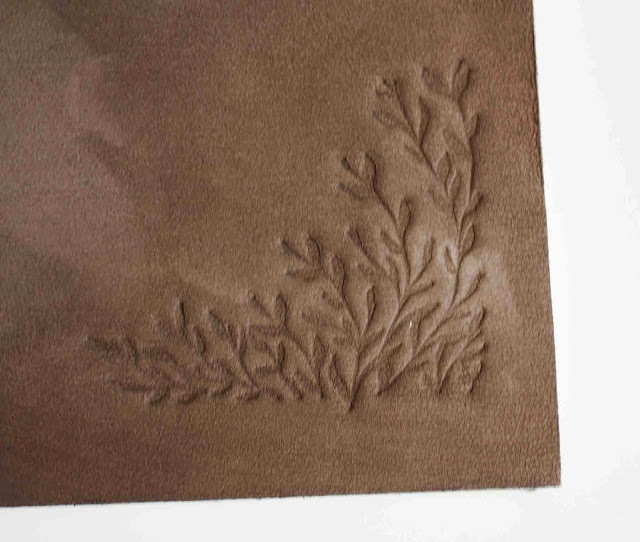 Nubuck is cattle leather that has been sanded on the grain side producing a velvet-like surface. It is very soft and extremely sensitive - it´s very easy to make marks or stain it. Because it very soft - its extremely hard to pare. 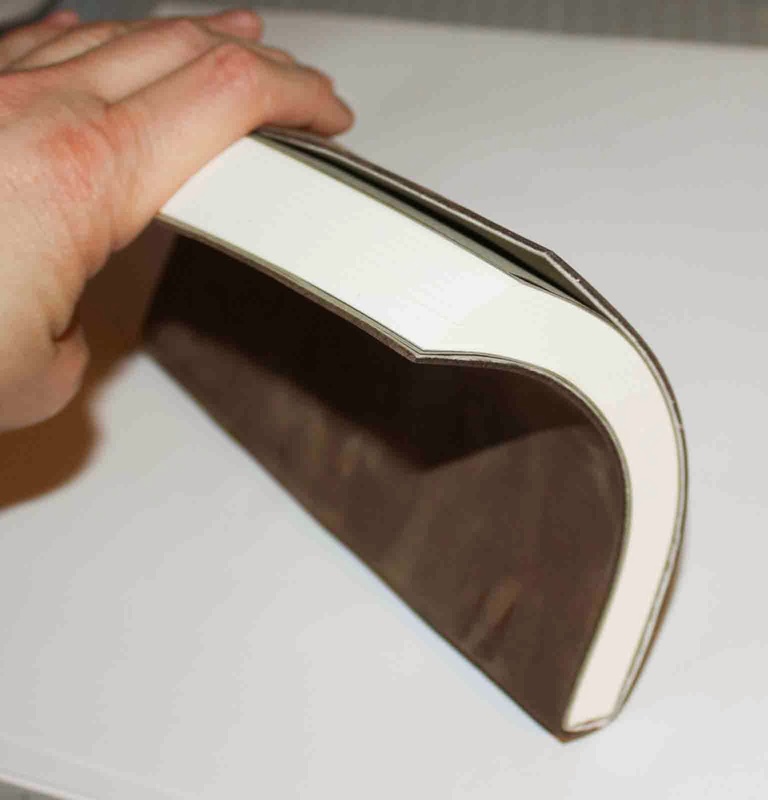 Therefore I decided to do a notebook with softcover and no turn-ins. I made the book block with Fabriano Accademia paper, 120 g/m3. (I´m very found of Fabriano paper.) The endpapers are Hahnemühle Ingres, mouse -gray. As cover I used Nubuck that I have purchase from Shepherds. It has a very nice mouse-gray colour. 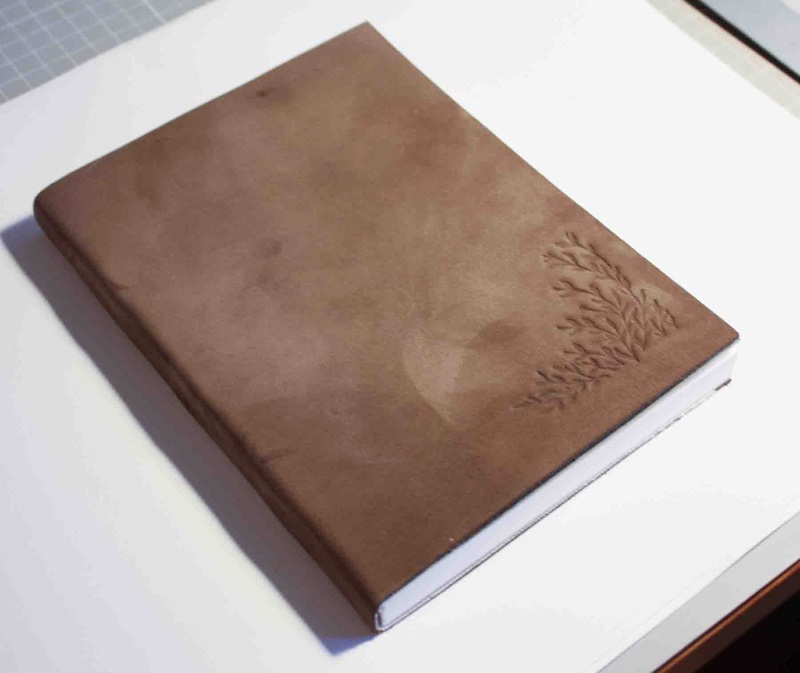 On the front cover I made a blind embossing.